On 26th April 1933, Sir Alan Cobham’s Flying Circus came to Welwyn Garden City as part of a 300 town display circuit during 1933. The event was held at Tewinbury Farm. 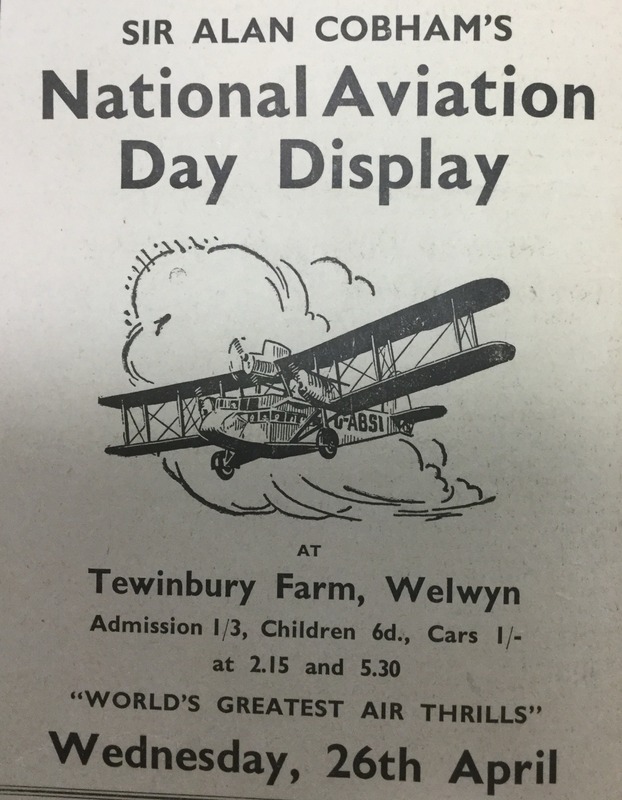 As reported by the Welwyn Times, the programme of events watched by hundreds of people included an exhibition of smoke-trail and wireless-controlled aerobatics, wing-walking, a miniature Schneider Trophy race, speed and height-judging competitions and humorous and surprise items, including an exhibition of “aerial pig-sticking”. Passenger flights were arranged in all the aircraft engaged in the display and two airliners flew long cruises over the surrounding district, giving residents an opportunity to view the Garden City from a novel angle. Sir Alan Cobham visited, piloting himself in a fast single seater machine. 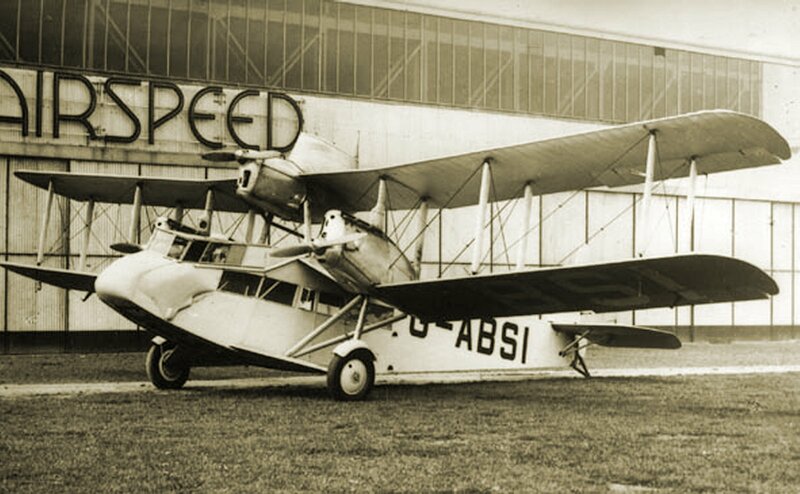 This National Aviation Day Campaign which Sir Alan Cobham founded in 1932 in order to foster air-sense throughout the country, was aimed at assisting in many ways the development of those internal air-lines then being inaugurated in many parts of the country. A comment in the Welwyn Times was that ‘the flying ground used was nearly a mile long and had for some time been surveyed for aviation when it was adjudged the finest potential flying ground in the South of England’. It is not clear where the actual ground was but it could have been the eventual site of Panshanger Aerodrome. – 1935 Avro 504N G-ADBD which crashed Southend Jul 1936.